Dark Side Racing would like to sincerely thank our newest team sponsors - Debbie and Jaden Nance of Bent 8 Kustom Apparel. 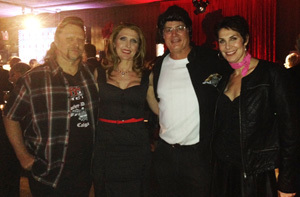 With your keen eye for detail, we absolutely nailed the rockabilly theme! Bent 8 has all the Coolest Stuff You Never Knew You Wanted. Tickets are $150 and available online. The raffle draw will be held on Feb 13, 2015 and you have a one in 500 chance of winning! Dark Side Racing is incredibly proud to announce that Grey Eagle Casino has come on board as a "Lift King Raffle" sponsor. The Lift King Raffle is our 2015 Season Fundraiser in support of PROSTAID Calgary and will be launched on February 20, 2015 at the World of Wheels. *Grey Eagle Casino Raffle Package to be announced in the coming days!! Grey Eagle Resort and Casino is one of Calgary’s newest entertainment destinations, located on the Tsuu T’ina First Nation in Calgary. They offer their guests professionally conducted, exciting entertainment in a unique environment. Come enjoy the thrill of live table games, the fun of slot machines and their active bingo schedule. They will entertain you at one of Calgary’s newest, largest and most luxurious entertainment destinations. The Resort offers 5 dining outlets, and guests can unwind with a drink at one of their 3 bars/lounges. Guests enjoy complimentary breakfast, as well as use of their on-site business centre. Grey Eagle Resort and Casino has a gift shop and complimentary parking or valet service is available 24 hours. Internet access is available throughout the resort. 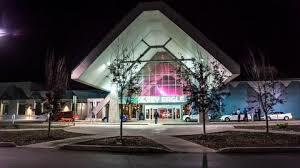 Please visit the Grey Eagle Resort and Casino and discover all that they have to offer!